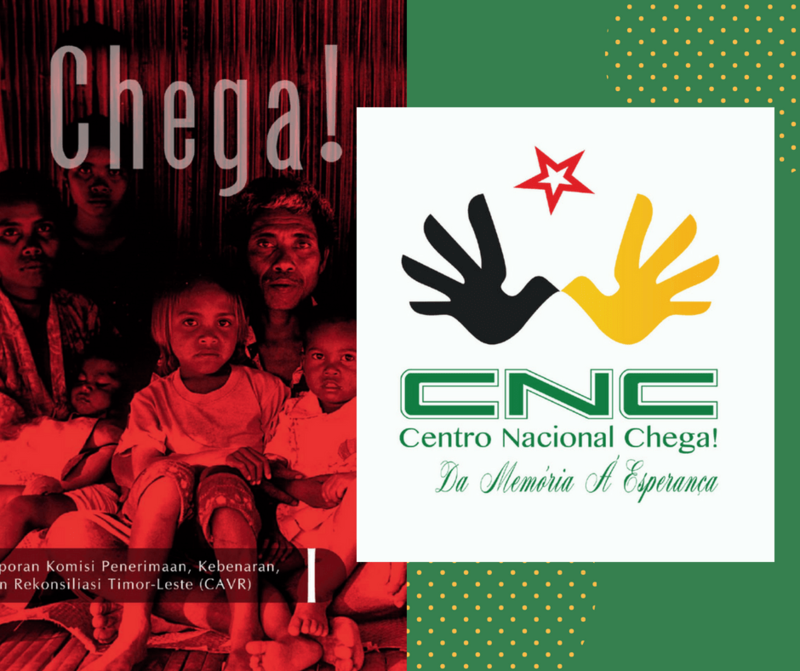 First-Year Anniversary of the Centro Nacional Chega! Today marks the first-year anniversary of the Chega! National Centre (CNC, Centro Nacional Chega! ), Through Memory to Hope, an independent institution in Timor-Leste established to facilitate implementation of the recommendations of Timor-Leste’s Commission of Reception, Truth and Reconciliation (CAVR) and the Indonesia–Timor-Leste Commission of Truth and Friendship (CTF). The establishment of the CNC was the outcome of a decade-long advocacy effort by civil society and victims’ groups, reminding the government of its obligation to implement wide-ranging recommendations of the two truth commissions. In response to this concerted effort, culminating with a ten-year commemoration of the CAVR report, Chega! in 2015, Timor-Leste’s former Prime Minister Rui Maria de Araujo established the CNC with Decree-Law No. 48/2016. The centre has a mandate to preserve the memory of Timor-Leste’s history for the period of 1974-1999, promote human rights through education and training, build solidarity with the survivors of human rights violations, prevent the recurrence of human rights violations, and foster a culture of peace. organizing consultations and forums on how to support vulnerable victims of human rights violations, including discussions on establishing a solidarity fund, provision of psychosocial support, and assistance for reunion visits by Timorese who were separated from their families as children during the conflict. Despite this progress, the CNC faces many challenges in fulfilling its mandate. Following the 2017 elections, the then newly-elected minority government was unable to pass the government’s budget in Parliament, leading to its dissolution and a new round of elections in May 2018. As the current leadership takes shape, civil society groups are concerned that government support for human rights may waver. The establishment of the CNC by the previous government was an exemplary demonstration of political will to implement the recommendations of two previous truth commissions. Timor-Leste can again show the world how to build a strong and prosperous democracy based on truth, justice, and healing.